­­­­­The list below is some of the top items that are too big for packing in boxes. These items end up getting damaged when moving. Never attempt to move a heavy or awkward object by yourself. These items are often large, bulky, and awkward. Many have electronic parts to them as well, making them somewhat difficult. These items end up not fitting inside the truck and shift during transit. 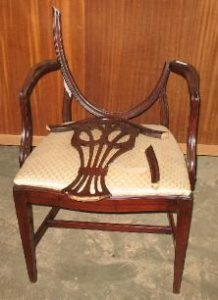 This leads to external damage to the item if it is not protected well with pads. The electronic parts sometimes get damaged as there isn’t a very convenient way to wrap them. Extra moving pads and proper placement in the truck is the only sure way to prevent damage. Appliances are susceptible to damage as they are big and bulky items. These items usually need the use of a dolly to move. 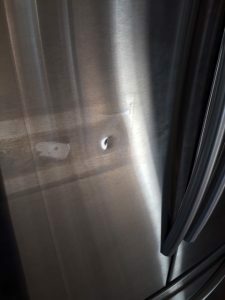 Appliances are items that can scuff, scratch, and dent. If one is not very careful, the use of a dolly to move an appliance in and out of a home can cause cosmetic damage to the item. These items often come equipped with sensitive electronic components, compressors, and drums. These parts need stabilizing (usually with stabilizing kits) before moving. You must take proper care to ensure the item is secure inside the truck and cannot move. Property damage can happen at any time during the move. Moving a sofa up and down steps can cause the couch to come into contact with the drywall. This causes minor rubs, scrapes, or marks on the drywall. 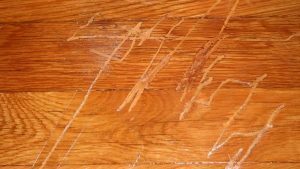 Other instances of property damage include hardwood floor scratches and carpet stains. To ensure against these types of damages, it’s recommended to pad walls and doorways. Placing floor protection on hardwood floors, steps, and carpets will prevent property damages. You don’t often think about yourself getting hurt during a move. But it is very easy to over-extend yourself while moving around furniture and boxes all day long. Nicks, bumps, bruises, and muscle strains can occur if not prepared. 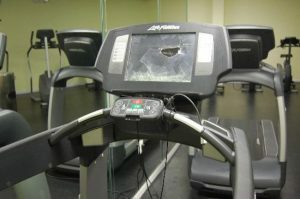 As mentioned before, never attempt to move something by yourself if it’s too heavy. Take precaution and wear a back brace, use dollies for the big, bulky, heavy stuff, and have plenty of help. You will be glad you did. The list above are recommendations from a moving company claims adjuster, and these are some of the items that are too big to be packed in boxes that we see getting damaged during moves. We hope these recommendations can help prevent some damages during your move.